Point to point delivery prices provided above are based on L300 and closed van vehicle classes of Transportify. Sending consumer packaged goods at the cheapest delivery service prices is a lot easier and faster when you do it with our app. Aside from providing efficient cargo delivery from Manila to San Pablo, you can also get our service for lipat bahay. 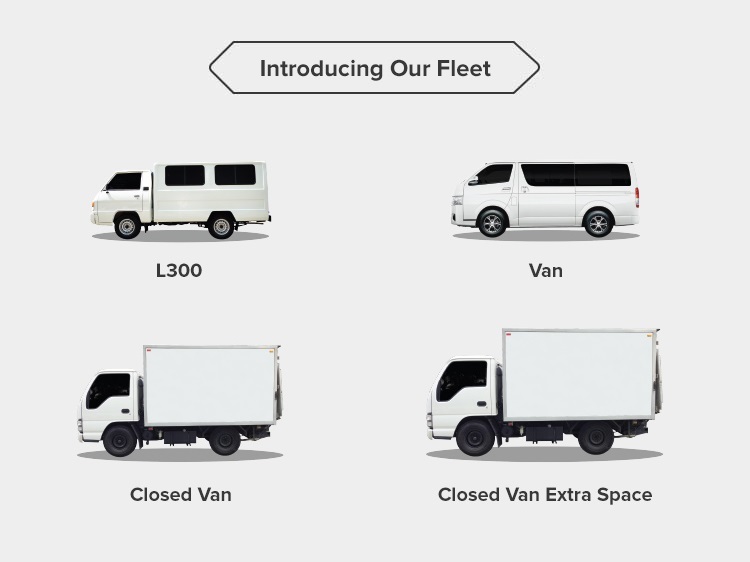 Choose between L300 or closed van depending on the sizes of the items that you will load. If you need a bigger vehicle, select Closed Van Extra Space or the six-wheeler closed van to fit more appliances and furniture. Book with us now to experience quality moving at the cheapest delivery service rates in the Philippines. Manila to San Pablo long haul delivery service includes all the fees for the driver, vehicle use, gas, and fuel. In addition, our CS is available 24/7 to answer your inquiries. Contact us anytime if you need help! Transportify is experienced with cargo delivery from Manila to San Pablo and to different key provincial cities. Customers can rent our van or truck for point to point delivery without any hassle. Transportify provides transparent prices that include fuel, tolls, and drivers who are ready to assist in your Manila to San Pablo long haul delivery service. Our complete fleet selection is able to provide the cheapest delivery service.